Mobile Phones: Motorola, Nokia, Samsung, Sony Ericsson, LG, etc. 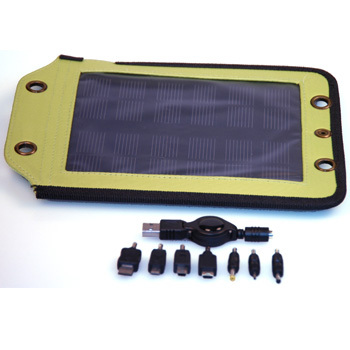 Energy Technologies, Inc. (ETI) offers Personal Solar™ panels to generate power for your mobile electronics and battery charging applications. 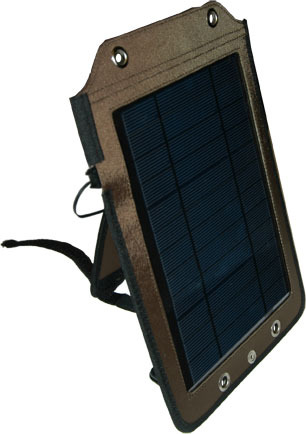 The included Personal Solar battery Packs can be used to power your wireless devices directly, or recharge devices that have internal batteries. • Battery pack can recharge Kindle 3-5 times. • Battery pack can recharge Kindle 6-5 times. • Battery pack can recharge Kindle 11 times. • Battery pack can recharge Kindle 3 times. • Battery pack can recharge iPhone or Ipod 3-5 times. • Battery pack can recharge iPhone or Ipod 5 times. • Battery pack can recharge iPad 2-3 times. • Battery pack can recharge most phones 4-6 times. • Battery pack can recharge most phones 6-8 times. • Battery pack can recharge most phones 12 times. •Battery pack can recharge Laptop Battery 2 times or act as external power supply. • Battery pack can recharge Laptop Battery 2 times or act as external power supply. See our Foldable Panels Section for larger solar configurations. * Device Recharged time are calculated assuming solar panels are in full sun. Energy Technologies, Inc. (ETI) offers Personal Solar™ panels to generate power for your mobile electronics and battery charging applications. Daisy-chain multiple panels together for greater power generation. Connect to other USB devices directly to charge the device. Battery packs can be used to provide power to USB devices without their own internal batteries. Energy Technologies offers a range of battery modules to be used in conjunction with our Personal Solar product line. These modules are light weight and pocket sized. Used in conjunction with our charging systems, these modules can store power to run your equipment for hours in low light conditions or after the sun has set. Easy transport and storage. ETI’s portable solar easily stores in backpacks, clothing pockets, briefcases, cars, boats or luggage. Ultra lightweight: the charger weighs less than four AA or AAA batteries. Ultra compact: chargers are folded into a small size that can easily be stowed in a backpack, pocket, pouch, or laptop bag. Corner mounting grommets to attach to a pack, vehicle or the ground. Performs well in diverse environments, including hot and cloudy environments. Simply attach the power connection and the Tactical Solar Panel immediately starts to provide power. Unique flexible substrate combined with tough, tear and rip resistant nylon material creates robust solar panel. Having holes cut, punctured, or shot through the solar cells reduces the surface area available to charge, but the unit can continue to operate. Effective power generation without noisy moving parts. ETI's Tactical Solar Panels operate from -40°C to 80°C temperature range, and are less impacted by temp. extremes than other types of solar panels. Weatherproof & UV Resistant Multilayer construction seals out the environment for lasting operation and protection. Eliminates reflection, reducing glare and detectability. Reduces the need to carry additional batteries. Renewable power enables extended trips. Enables field charging of batteries, cell phones, PDA, GPS, radios, laptops and other electronics for maximum performance. 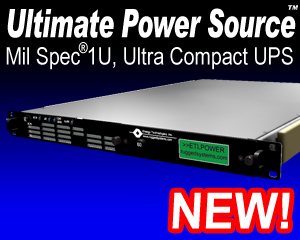 USB connectors, integrated into many of our panels, can power electronics directly without additional power supplies, adapters or connectors. Panels continue to power under cloudy skies. When connected to batteries, the surplus energy can be used at night. The Solar Panels can be used to cover batteries to keep them cooler during daytime charging. Reliable performance continues for many years, unlike other photovoltaic materials that can rapidly decline with use. "Green" energy from a renewable power resource.